My body image has changed over the last couple of years. I went through a phase about four years ago where I shortened all of my dresses and skirts. Then two years ago I decided they were all too short and went and lengthened those that I could. I still have a few items in my closet that are too short but I like them too much to take them to the consignment store. I bought the dress in a moment of weakness about three years ago from Ruche online just before my birthday. I like to give myself birthday gifts in advance. In case everyone else forgets. Always have a back-up plan I say. But…as you can see…the dress is short. Returns from Canada back to the States are a nightmare and cost big bucks, so I kept it. I’m 5’4″. What does someone do that is 3-4″ taller than me? Other than catch cold. I don’t mind the dress with opaque tights. 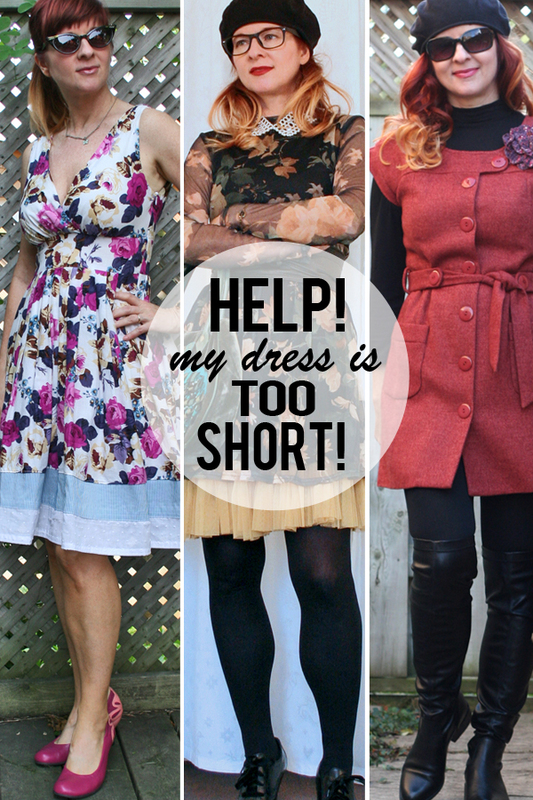 Which brings me to my 4 easy solutions to wear a dress that is too short. 1. Sew on a few extra inches of coordinating fabric to the bottom of the dress. I’ve done this with skirts as well. 2. Wear another skirt or petticoat underneath. 3. Wear leggings, jeans or pants under the dress. 4. Wear opaque tights with it. Now I realise that the solution of wearing opaque tights might not work if you live in Florida or Hawaii. Even in Toronto (well in the past anyhow when we still had the seasons Spring & Summer) with our high humidity I wouldn’t want to wear tights in summer, but right now the temps are quite cool and ideal for tights. I don’t think this dress would be attractive with another piece of fabric added to the bottom. How I wish there were more than a half an inch hem to let down. What do you do when you find that a dress or skirt is too short for you? Take it to the thrift/consignment store? Or try work-arounds like me? Absolutely love your tips! And, I’m digging the oxfords with socks look. I have several pair of high-heeled oxfords that I think I’ll be experimenting with. As for too short dresses, I’m a dress over jeans girl. Even if the dress is “regulation length”. I just like the look. I know other people say it’s dated or cheesy, but pfffft I don’t care. I’m comfortable and I like it. I too love the dress over skinny jeans look- but I’m quite tall so almost all dresses are too short dresses these days. I’ve also cut a dress down into a tunic length to make it more wearable, or hemmed it up with a wide hem that can be taken down to turn it temporarily into a shirt, that might work for this cute flowered number of yours, though it does look great with the opaque tights. That photo of you window shopping with your mini, jeans and fab heels is just gorgeous, it looks like it belongs in a magazine. Options 2,3 & 4 are my choices. Very cute dress and you look great in it. I don’t think it’s too short. I am bad about buying bday gifts for myself, early too!1 I would buy dress #1 in an instant as the colors are perfect with red hair. Not to short!!! 🙂 I love the idea of sewing extra material on, but I just can’t sew! Great job and beautiufl dress, love the purple! I am a big fan of dresses over jeans. I just love that look and wear it a lot. All of these dresses are soon cute! If you ever get sick of them you can feel free to send them my way. Ha! Good solutions to a common problem. Probably because I don’t live as a woman, I don’t worry about dresses being too short. I like short lengths. They’re flattering no matter what age we are. You’re a tall one! Funny how I thought you were the same height as me. I’m 5’8 as well and I have long legs so pretty much all dresses look short on me? I like all the solutions you came up with. You are just so clever with fashion, Suzanne! I love that look with the tulle skirt-works perfectly. You are always a storehouse of hot tips. By the way, Jennifer and I will be hosting our first Lifestyle Bloggers LinkUp- #STYLEfocus- starting on Friday. You must stop by and add a few of your favorite blog post links. We would love to have you (and any blogger friends) in the mix. Please join us! Things are regularly too short on me, and my past solution has been to not buy them, which is sad. Love all these suggestions and I will definitely be incorporating some of them – especially the leggings underneath. I love that you get yourself an early birthday present just in case :)! I don’t think the dress is too short (you have great legs, show ’em off!) but it depends on the individual’s comfort level. I like wearing short skirts, but mostly in the colder months when I can wear them with tights or leggings. 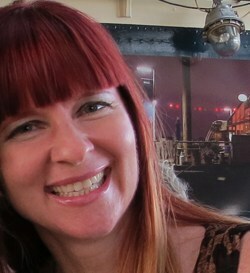 I have a couple of short summer dresses that I wear with bike short-length leggings underneath or over a longer skirt. I like your suggestion of adding a piece of coordinating fabric to the hem – it looks great on the examples you’ve shown. Love the flowered dress with the obi belt worn over the tulle skirt – stellar outfit! 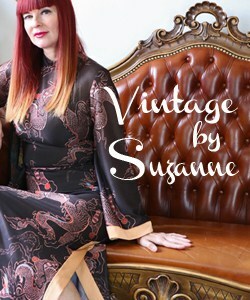 All great ideas Suzanne and you look fabulous in each outfit! However, with those gorgeous legs, you can wear any length, just be careful getting in and out of the car. Great tips, Suzanne. I actually have used them all, except adding the fabric becuase my sewing skills are only good for quilting. Although I could easily talk a friend into helping me. I don’t know about everyone else, but I just think they look so classy and stylish just a bit longer. The trick of wearing a skirt underneath is often my go-to solution. The type of skirt, patterns and material matter a lot, I find. However, it’s tried and true, IMO! Great tips! ps…you crack me up about the early birthday present. I always say it’s my birthday month! I don’t like my bare legs running around on their own–so with shorter skirts I am always wearing leggings, jeans, or thick tights underneath, and i really like the look. Angel, however, is very vocal about how much he hates it, because in his opinion, wearing jeans under my short dresses totally defeats the purpose of a short dress. Men. Love the way you added what looks like stripes to the patterned dress. And of course darker tights work too, and certain slips. I am having trouble with one dress that is too short, so i am glad you posted this. I bought a gorgeous lace slip for underneath, but it didn’t work. Ha ha! I’m sure you’d be swimming in my dresses. You are so tiny! that dress with the petticoat and Obi belt, and fabulous bag …. I love these tips – I have done the “floofy underskirt” many a time and love the extra length I get from it. I actually think this dress would look killer with a 4-inch piece of suede in a deep rusty brown attached along the bottom. Oooh! I LOVE that idea! Now to find the right colour of suede and someone to do it. I don’t trust myself sewing on suede. If I’m not going to work or another more conservative place, I normally just wear it alone and hope for the best! But, I will wear tights or leggings if it’s way too short! Great tips! Great tips, Suzanne, especially the one about adding a ruffle or coordinating strip of fabric along the bottom. That’s perfect for a-line and full skirts. You’re right that lengthening a shift or sheath is trickier. I definitely wear my shorter dresses more in the winter, simply because layering tights underneath gives me more confidence to wear the shorter length. I’ll have to try some of my shorter shifts with leggings or jeggings. I’m also 5’4″, and I’m always incredulous as to how taller women can wear some of these dresses. I suppose a lot of them don’t. Maybe that’s why midi skirts continue to be so popular? We shorties can wear them with heels, and taller ladies can wear them with flats. I’m saving this to Pinterest for the next time I get frustrated about a too-short dress. Thank you, thank you! It is such a lovely dress, a beautiful pattern. I hope you will find a solution worth for it. Lately I made a skirt from a dress which was too short. It works. Great tips, Suzanne! I have several skirts that I’ll only wear with tights or leggings! Wish I could sew so I could add a cute layer! Have a wonderful weekend and thanks so much for linking up! 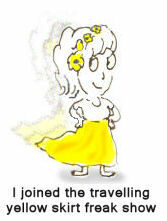 Guess what I also went through that phase – shortening most of my skirts & dresses & I have to agree with your tips. I usually wear them with boots and tights. I would work around it like you have done so splendidly. I agree with all your options although opaque tights is my least favourite. It helps but the dress is still too short for me. Having said that, I do love your dress with the opaque tights and that cute cardigan. In summer you will have to come up with another solution. How about sewing a piece to the dress to elongate it and then add a little rim of the same material (taken from the hem of the dress) at the very bottom? Love the sleeves on this dress. I prepare for my birthday pretty much all year, because, well, it’s super important to be prepared. I so wish that I had not been to cool as a teenager to not let my grandma teach me how to sew when she wanted to. I love the dress/skirts that you added the coordinating material too. I typically go with the tights if something is too short. I personally do not think that dress is too short. Looks great with the dark tights and dark topper which make it look longer. Also, I thought you were at least 5.7. You have long legs, girl. I envy/love your collection of floral dresses, especially the one from today’s outfit and the very last one pictured in this post. And I also love short dresses over leggings, skinny pants or skinny jeans. Great styling Susan. P.S. In love with the flower art wall. Please let me know have you showed a tour of that room before? I want to see it. Great look and article, Suz. I do 2, 3 and 4. They are work great! I have never (and will never) turn to your tip no. 1, since I am useless on a sewing machine and at sewing-by-hand as well. You would help me so much! please contact me. i have some questions about one dress of yours. Why don’t you add white lace to the dress you really love? It would give the illusion it’s longer and I think it would look great. (I’ve done it to a couple of dresses and skirts.) Just a thought so you could wear it more often!! Thanks so much for these creative ideas! Love your style and look and creativity!! Thanks so much for these creative ideas! Love your style and look and creativity!